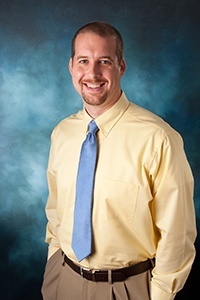 Charles E. Gottschall received his degree from Liberty University in 2007 and began his public accounting career with a local CPA firm in Hillsdale, MI. He moved into manufacturing in 2010 and spent five years as the controller of two closely-held companies in Jackson, MI before joining BHT&D CPAs in July 2015. Charles is also a Certified Management Accountant (CMA) and a QuickBooks Certified ProAdvisor. His experience includes management and cost accounting, QuickBooks consulting, financial statements, and tax preparation for individuals, corporations, partnerships, trusts, and estates. He is a member of the Michigan Association of Certified Public Accountants, the Institute of Management Accountants, and the National Association of Tax Preparers. Charles and his wife, Martha, have eight children. He enjoys reading, fishing, playing soccer, volunteering, serving as church musician, and spending time with his family.